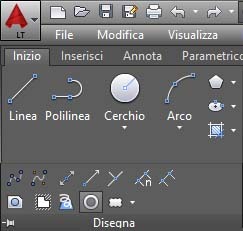 This command is not present on the toolbar, to activate it with the old AutoCAD we have to go to find it with the mouse on the "Draw" menu. The “Donut” allow us to draw a ring, after establishing an inner and an outer radius of the figure. 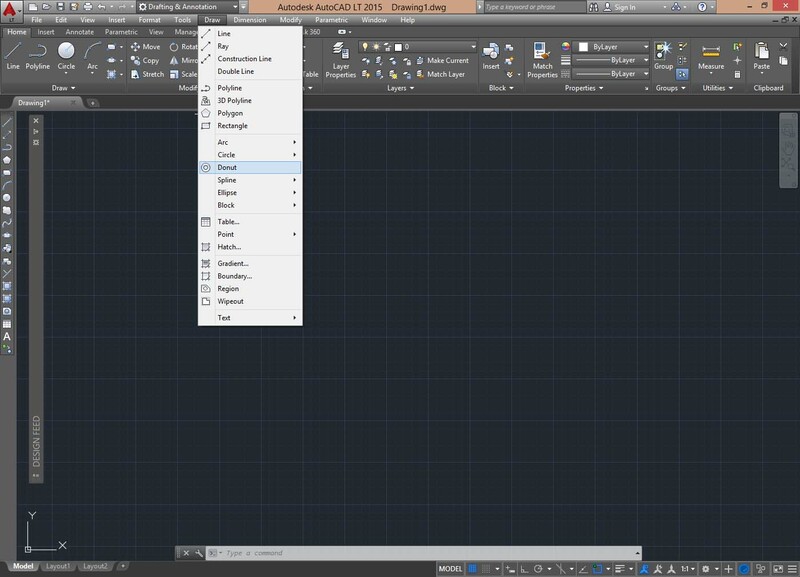 Once activated the command, AutoCAD will ask to insert the first of these values (e.g. 5), press “Enter” and type the second value (e.g. 10), corresponding to the outer radius, then press the “Enter” key again. Once this is done will appear its shape near the cursor and by clicking the left mouse button on the screen we can create one or more copies of the object. If necessary we can also use the snap to secure the center of the Donut in one or more specific points. Click the right button or prerss Enter to exit the command. If we give to the	first radius the value 0, the ring created will be filled.